This Artistic Weavers Tulcan accent rug is sure to add to the modern dicor of any home. Designed for your hallway, dining room, or living room, this indoor/outdoor piece made from plush synthetic material looks and feels great. Since it is hand-made, you can trust the quality on this rug. The floral plants pattern on this red rug is very modern and stylish. Add this high quality Artistic Weavers Ayolas accent rug to your home for an instant splash of style. Decorate the right way with this indoor/outdoor piece constructed from plush synthetic material. Keep this hand-made made rug in your home for a long time. Make a bold statement with this floral plants patterned yellow rug. 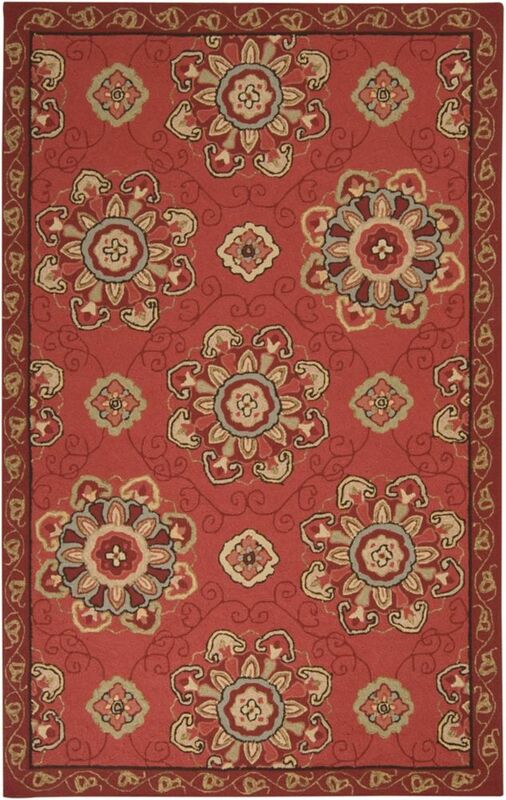 Tulcan Red 2 ft. x 3 ft. Indoor/Outdoor Transitional Rectangular Accent Rug This Artistic Weavers Tulcan accent rug is sure to add to the modern dicor of any home. Designed for your hallway, dining room, or living room, this indoor/outdoor piece made from plush synthetic material looks and feels great. Since it is hand-made, you can trust the quality on this rug. The floral plants pattern on this red rug is very modern and stylish.